As you know, all living things love the light. Tom is not an exception midges, mosquitoes, flies, and more. In order to protect your house from insect invasions, mosquito nets can be installed on opening doors and windows of doors and windows. However, during operation, they may be damaged and breakdowns become very different. 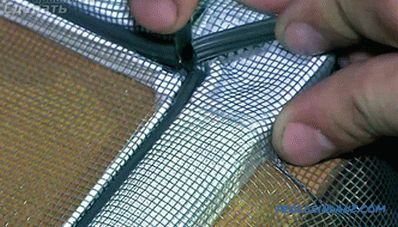 In this article we will look at the most common damage, as well as you will learn how to repair a mosquito net. 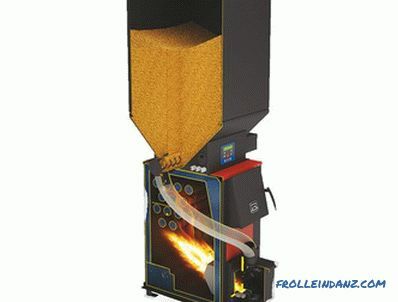 There is another reason - poor quality equipment and improper installation. 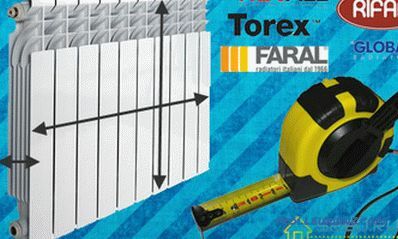 For example, if you are not living on the first floor, then if you install it incorrectly, the risk of the grid falling from a great height increases. 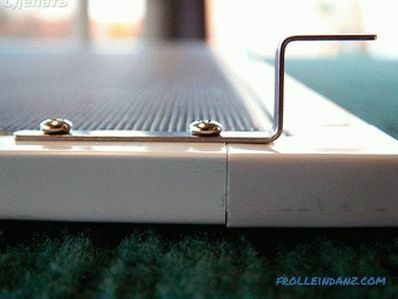 As a result, plastic elements may be damaged and the frame profile will bend. Also not without a breakthrough grid. In short, after a fall, the mosquito net will definitely need to be repaired, but at worst a complete replacement. So, how do you determine if the mesh needs to be repaired? If there are curvatures of the frame. Waves appeared on the canvas of the net. The mounts are out of order. 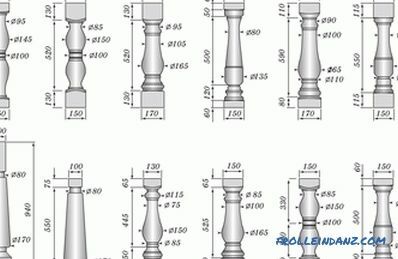 The product has no original appearance. The most common failure is the breakthrough of the web. Especially in those cases if you have pets at home. Claws, teeth, beak and the like can easily damage the mesh. As a result, uninvited guests in the form of mosquitoes and blackflies will fly into the apartment through breakthroughs. Also, the cause of a breakdown may be in careless operation of the mesh, sudden temperature changes and wear of the fittings, as well as due to the effects of precipitation. 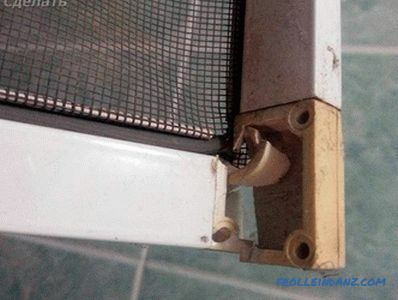 In most cases, the problem is solved by one call to the appropriate company, where you can buy a new mosquito net. However, in order to save, you can fix the damage yourself. This will require a small piece of suitable grid, which could block the breakthrough. You can use the old mosquito net, if you have one. 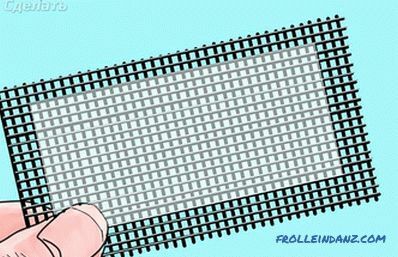 So, cut a suitable piece of mesh with a margin, 2.5 cm on all sides. 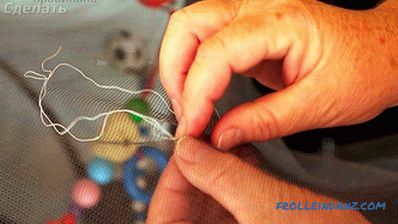 After that, a curved needle and a strong thread are required, preferably in the same color as the canvas. You can also use thin fishing line, which is practically not visible. 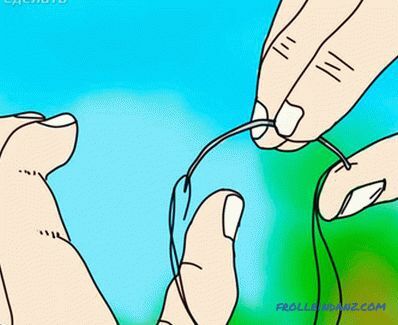 Pay attention to the fact that you can use a regular straight needle. 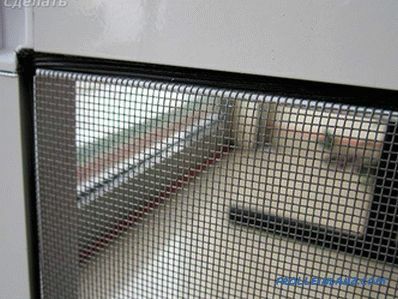 Curved is needed in case only one side of the mesh is available to you. Now close the hole with the cut grid. 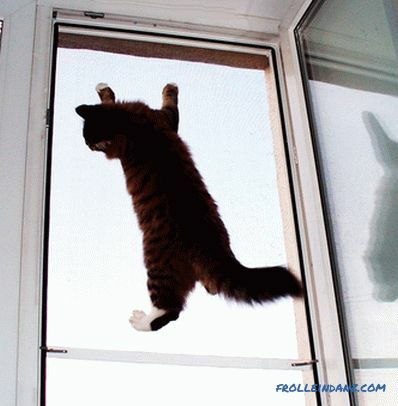 Best of all, if you can remove it from the window. Next, it remains to sew a small stitches patch to the grid. Stitches moderately, otherwise there is a possibility that the mesh is deformed. This is how you can easily and quickly eliminate a small breakthrough in the grid . The only disadvantage of this method is aesthetics. Therefore, it is better to approach the issue of eliminating a breakthrough creatively. For example, cut a butterfly patchwork in a contrasting color or something else. You can connect the fantasy, and from the outside it will seem that the way it should be. To release the grid around the perimeter at the interface, remove the cord. A new grid should be put in place. The grid should be tensioned in stages. You can start from the short side. 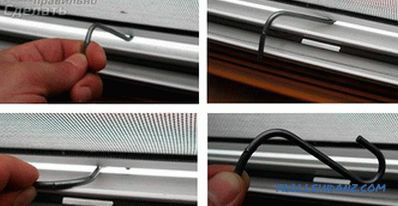 Putting the net in the gutter, with the blunt side of a ballpoint pen or screwdriver, squeeze the cord back. Make sure that there are no folds. Next, attach the grid on the second long side with the same method. The most crucial stage is the tension of the third and fourth sides of the grid. Here, you may need to redo, as the grid can easily bend. Her tension should be planned. At the completion of work on the perimeter, carefully cut off the remains of the net with a profile with a sharp and thin knife. This work can be done by hand, most importantly, do not be afraid to experiment. With this hook you can Easy to install and remove the grid from your seat. So, with one hand, wind the hook under the netting, and with the other you hold and at the same time press down on the remaining pieces of the handles. So, you can set the grid on your seat. This method in case you cannot buy new pens at the moment . But, on the other hand, this technology is rather dangerous, because with inaccurate movement the grid can fly down. There is also another option that does not require taking such risks. You can make a flexible handle of small pieces of leather. 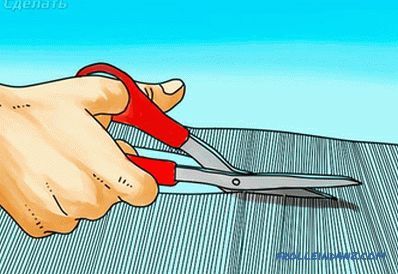 Cut off the skin with a strip up to 2 cm wide and up to 10 cm long. Fold it in half. The result is a strap of 5 cm. The ends of the skin with a screw are fastened to the place of the last fastening. So, you will have two loops that will help remove and install the mosquito net on the seat. 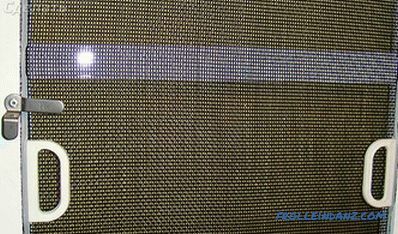 Due to a fall or poor-quality components in the mesh design, the corners may break. Alternatively, you need to buy a new corner and make a complete replacement. 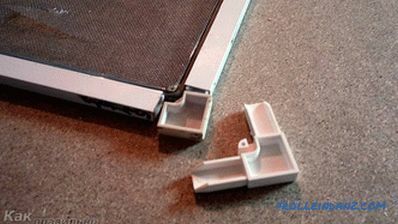 To do this, remove all residues of the broken corner from the aluminum profile. A new neat hammer in the profile with a rubber or wooden hammer. For the stand, you can use a wooden bar, in this case any hammer will work. 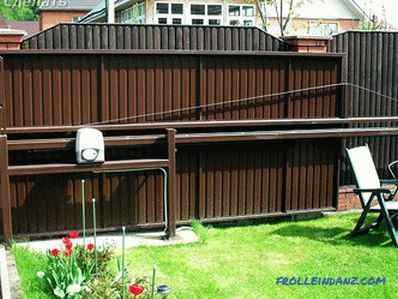 The main thing is not to overdo it, because the corners are mostly plastic and may also break even at the stage of their installation. If the corners are just loose, and you can see that they could still serve , the skeleton of the grid can be simply strengthened. To do this, you can cut small corners of tin, round off sharp corners and fasten them on top of existing corners. You can also buy small furniture corners. An important requirement is that they are thin, otherwise there is a grid in the corners will not lean against the window. 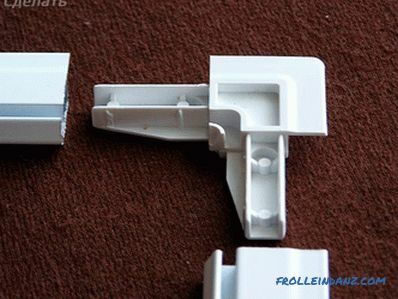 Z-mounts on the outside can also break on the plastic window. It is installed mosquito net. Repair can be very simple, for example, buy a new one and install it in its place. Also, such fasteners can be made independently of tin. It is important to give it the necessary form. 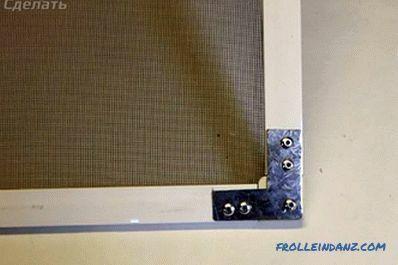 When the workpiece is done, you can fasten it with a screw to the window. So, as we considered, there are many reasons why a mosquito net can break. On the one hand, you can always buy a new part to replace it, and on the other hand, some parts can be made independently. To help also offer a video on this topic.